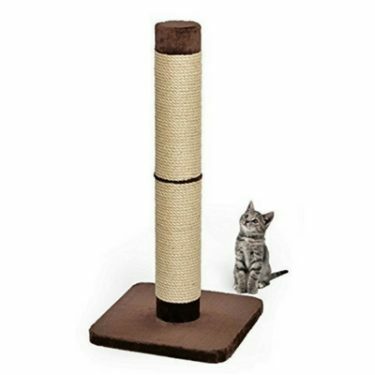 The PetFusion Ultimate Cat Scratcher Lounge is our top-rated cardboard cat scratcher. 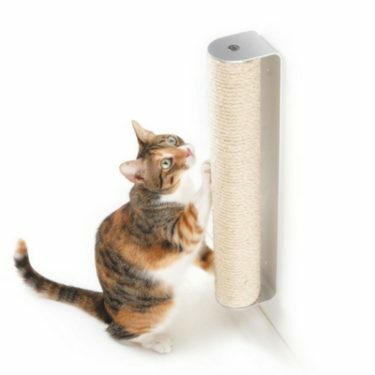 PetFusion has succeeded in creating a quality cat scratcher that is attractive enough to be a people-pleaser as well. 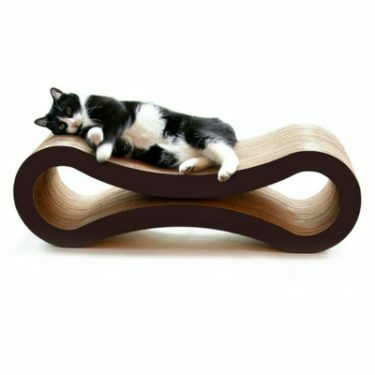 The PetFusion Ultimate Cat Scratcher Lounge has a unique flowing shape that makes it great for scratching and lounging. 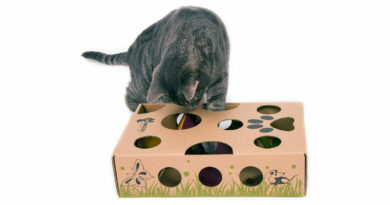 This horizontal scratcher is made of high-quality corrugated cardboard and it can be flipped when one side wears out. It comes with sticky feet to prevent sliding on hard surfaces. The Ultimate Cat Scratcher Lounge comes in Walnut Brown or Slate Gray. 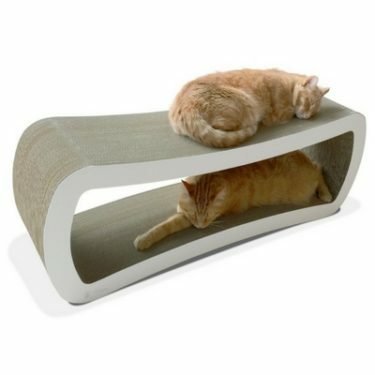 The PetFusion Ultimate Cat Scratcher Lounge is a cool looking addition to any modern room. 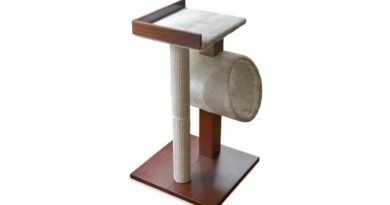 It doesn’t look like an ugly piece of cat furniture so owners are more willing to give it a prominent place in the home. 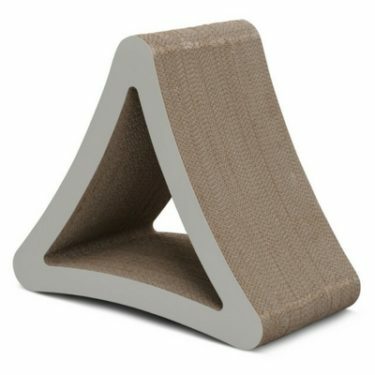 The PetFusion Ultimate Cat Scratcher Lounge comes in two different finishes that go well with most household furnishings. 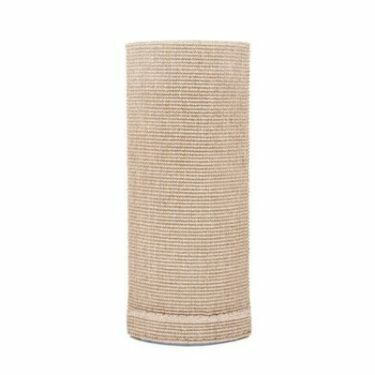 The PetFusion Ultimate Cat Scratcher Lounge gets top marks for cat-friendliness. 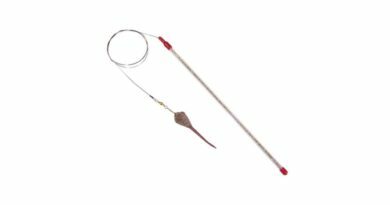 PetFusion even throws in a bag of catnip with their scratchers to further entice your cats to love their new toy. 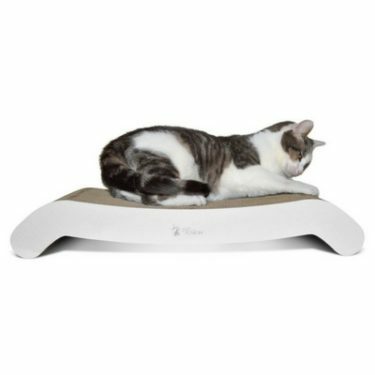 The PetFusion Ultimate Cat Scratcher Lounge is large enough for scratching and its curved design makes it a comfortable bed as well. The cubby holes are large enough for an average sized cat to hide in. 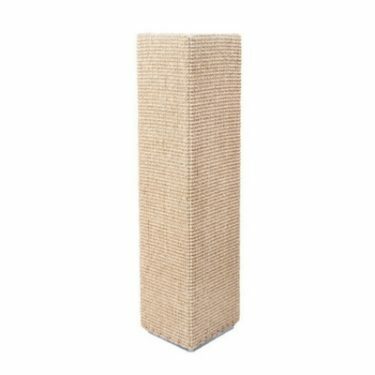 The PetFusion Ultimate Cat Scratcher Lounge is made of high-quality corrugated cardboard. This heavy-duty cardboard holds up extremely well compared to other cheaper cardboard cat scratchers. But even the best quality cardboard isn’t going to last forever. That’s why we like that this product is reversible. You are essentially getting two cardboard scratchers in one. 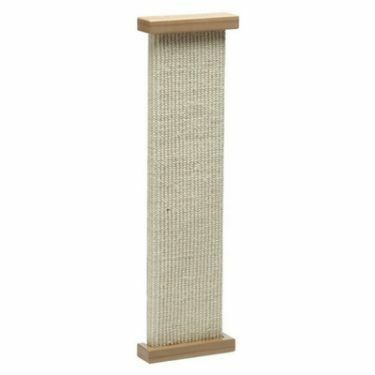 So even though it won’t outlast our top-rated sisal cat scratcher, it should come pretty close. 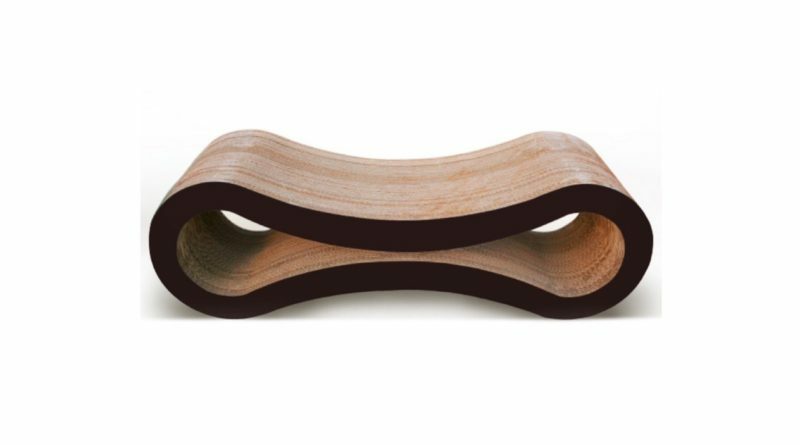 The PetFusion Ultimate Cat Scratcher Lounge goes for about $50. This might seem like a lot of money to spend on a product that’ll only last a few years, but trust us, it is worth it. 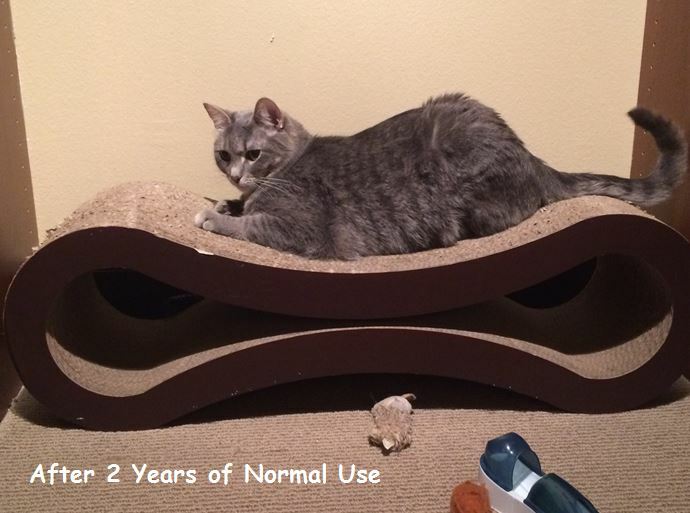 The PetFusion Ultimate Cat Scratcher Lounge has been a huge hit amongst our cats and we credit it for saving our furniture.